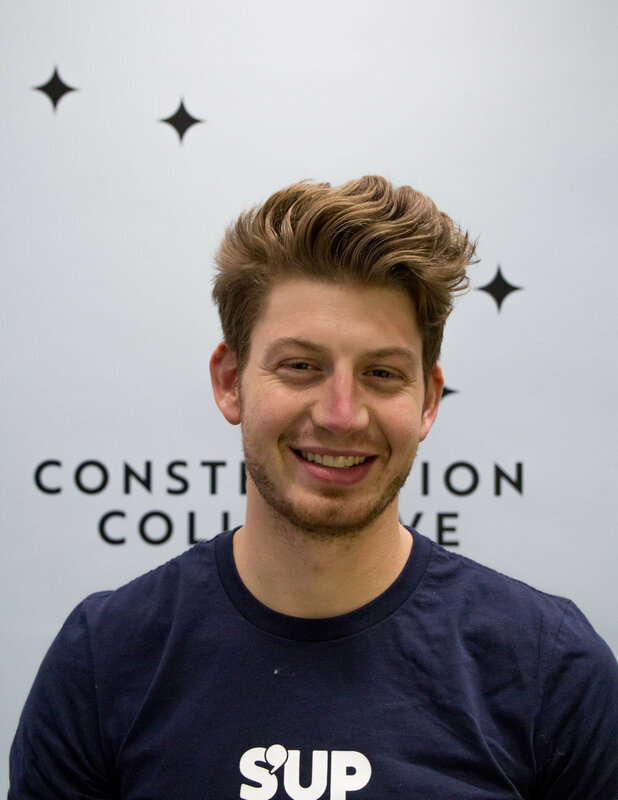 Constellation Collective is a curated grab-and-go marketplace, located in the iconic Nickels Arcade, bringing together the finest food from Ann Arbor’s local vendors and restaurants. Our mission is to nourish the Ann Arbor community by increasing access to the finest wholesome food the area has to offer. Four Ann Arborites – all experienced food business enthusiasts – came together over a vision to collect the finest locally prepared, ready to eat products, and have them available in one central location in Downtown Ann Arbor. As University of Michigan Alumni and professionals working downtown each day, they recounted how accessing the deliciously wholesome foods across town can be unassumingly difficult. Whether from limitation of time, transportation or simply lack of awareness, the Downtown and Central Campus population in Ann Arbor was (hands-down) missing out on some of the best food A2 has to offer. The idea sparked even more excitement amongst the team when an iconic storefront was made available. Downtown, in Nickels Arcade and just across from the Diag?! Yes please! It was a Goldilocks situation where the people, the energy, the goal and the space were just right. From this collision, Constellation Collective was born. We’re located in heart of Downtown Ann Arbor, adjacent to University of Michigan’s Central Campus. We are directly across from the Diag, which is one of the busiest sites on the university campus. The diag is bordered by many of the most frequented buildings, including both the undergraduate and graduate libraries, Angell, Mason, Haven and Tisch Halls, among others. The diag is regularly used as a meeting and resting place for those in the area, and a variety of events each year are hosted there including outdoor concerts, demonstrations and fairs. Across State Street and through the two arches between Bivouac and Van Boven Clothing, you can find us nestled in the historic and iconic Nickels Arcade. Nickels Arcade is a high-traffic pedestrian corridor that is covered with a glass ceiling and is lined with many unique and creative small shops. The arcade emits a cool European vibe in the middle of a Midwestern town. Our 400 square-foot space is located in what was once Boersma Travel (1946-2014) – one of the longest tenants in the Arcade. With our limited space, we set out to cultivate a pleasant and easy shopping experience, and to provide a comfortable gathering place for members. 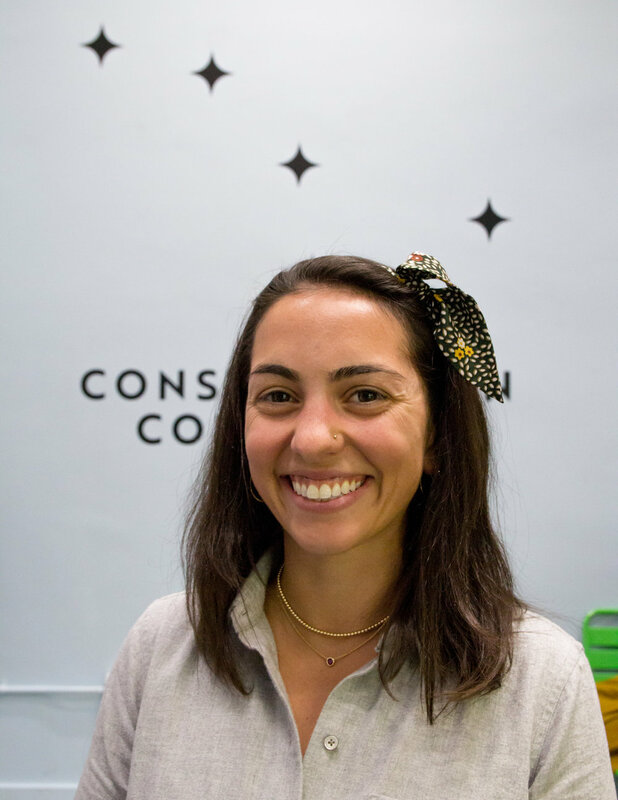 Constellation Collective is a team of long-term Ann Arborites and University of Michigan alumni, with decades of experience in food, nutrition, catering and pre-packaged food businesses. 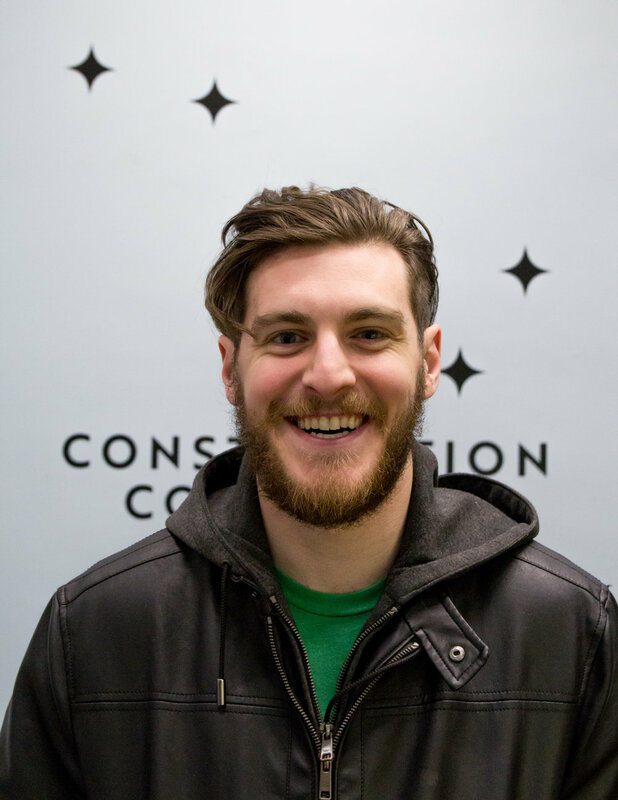 The team has roots throughout Ann Arbor and has created Constellation Collective in effort to promote the local food culture and contribute a positive asset to the community. The team was challenged to answer four of the most difficult questions. 1. What's your favorite thing about Ann Arbor? 2. If you had to eat one food for the rest of your life, what would it be and why? 3. What's your horoscope / "Constellation Sign" ? My favorite thing about Ann Arbor is the kindness of the people that are passionate about their town. The community is great. If I had to eat only one food it would be Salads (UP). A fun fact about me is I’m the founder and owner of Salads UP and a Class of 2013 University of Michigan grad. One of the things that makes Ann Arbor so great are all of the diverse and unique neighborhoods. If I had to eat one food for the rest of my life it would be cheese. If I could choose a second, it'd be bread! One fun fact about myself is that I used to operate food carts (The Beet Box and Cheese Dream) at Mark's Carts and music festivals around the country. The sense of community. The diversity of events, people, and businesses make Ann Arbor great. There are very few places in the world like Ann Arbor! I am really trying to think of something healthy, but my mind always goes to pizza. My sister and I started Iorio's Gelato out of a pushcart while we were in middle school. Our biggest event every year was the Ann Arbor Art Fair! My favorite thing about Ann Arbor is all the healthy options in town. It’s really lends to a healthy lifestyle. If I had to eat just one food it would be pizza, chips, and cereal. I can’t pick just one. A fun fact about me is I worked at NBC and I was on the Today show. I’m also a partner at Salads UP! My favorite thing about Ann Arbor is that there so many great community events throughout the year and equal opportunities to take-part in the them. My personal favorite is FestiFools. If I had to eat one food for the rest of my life it would be ripe heirloom tomatoes. A fun fact about me is that I'm a Registered Dietitian and over the years I've had the chance to work at many food institutions in town -- Juicy Kitchen, Cafe Verde and The Brinery to name a few! My favorite things about Ann Arbor are the Art Fair and football Saturdays at the Big House! A fun fact about me is that I'm a native Ann Arborite who went to business school in sunny Miami, Florida. I also love to golf and I once scored a 2 on a par 5! My favorite thing about Ann Arbor has to be the diverse food scene. Answering one food item is way too hard - haha. So I’ll say if I had to eat one cuisine for the rest of my life, it would have to be Italian food. I recently studied abroad in Florence and was in culinary heaven. One fun fact about myself is that eating dark chocolate makes me sneeze. Knowing all too well how expensive real estate acts as a roadblock for small food producers, the team decided on a cooperative model. While Constellation’s mission is to provide food to the community, we are just as committed to supporting small businesses by providing another channel to sell their foods. As such, we rent refrigerator shelf space to vendors and leave them with full ownership of their products. Click here for more information on vendors and how to become a member.